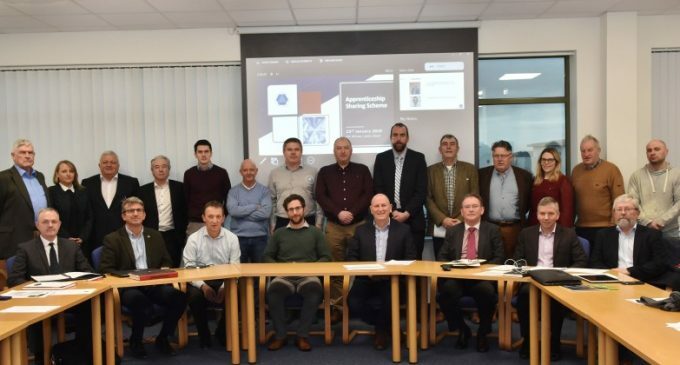 Construction companies throughout the south gathered at a briefing in Cork recently to learn more about how they can join forces to increase the amount of young people entering apprenticeships in the sector. 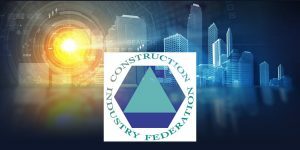 CIF members are working to create co-ops whereby a number of construction companies choose to work collaboratively to provide training for new apprentices throughout the industry. The Shared Apprenticeship Scheme differs from the traditional model in two ways, firstly it allows direct employers and co-op members who may not be specialists in the appointed trade, but do employ skilled sub-contractors, to arrange for the training required under the guidance of the Co-op. And secondly, co-op members will be able to move the apprentices between their companies to ensure continuity of engagement and training should one area or particular project become more or less busy than another. John O’Shaughnessy, MD of Clancy and Chair of the CIF Manpower, Education & Training Committee, said at the briefing: “We are seeking the support of construction companies throughout the southern region and across Ireland for the Apprenticeship Sharing initiative. This is an industry effort to grow the numbers of apprentices registering to the wet trades, which are sadly lagging at this time. In 2015/16 my company was part of a pilot of this sharing initiative and we deemed it to be a success. According to Dermot Carey, Director Safety and Training, CIF, the scheme is one approach which those in the industry can take to address the skills challenges currently being faced by the sector, particularly when it comes to the wet trades. “Ireland faces the challenge of generating the 112,000 additional employees required up to 2020 to deliver the targets set out in both the housing strategy and the public capital programme,” Dermot Carey said. 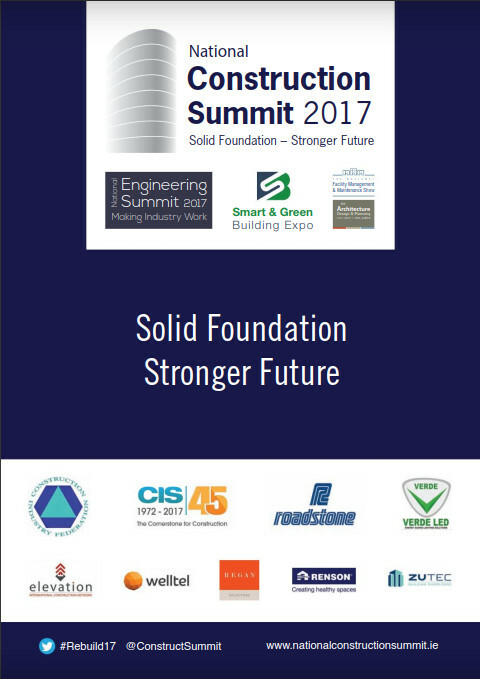 “There is an urgent need for Government and industry to collaborate in attracting more people into the industry and to invest in construction skills training. The alternative is that we will fail to meet these targets, our housing crisis will continue and our infrastructure deficit will stall economic progress. This is a huge threat to Ireland and the long-term capacity of the construction industry. “We need to address this by attracting people back into the industry from the live register, through our education system and by reaching out to those members of the diaspora with construction experience and upskilling our existing workforce. We also drastically need to address the apprenticeship system, to ensure that we have a steady stream of skilled employees to sustain the construction activity our economy and society requires. This Apprenticeship Sharing Scheme is just one very practical step we are making in this journey. “The construction sector is the principal industry sector in Ireland for the employment of apprentices. At its height, the sector employed nearly 27,000 (92%) of apprentices. Following the decline of the economy from 2008 onwards, this number fell to a low of circa 7,000 in 2013. However, the Irish construction industry has been hiring at a rate of 1000 additional employees a month since 2013. “In 2016, the CIF launched an innovative, ‘Shared Apprenticeship Scheme’ pilot in conjunction with SOLAS, which allowed a number of member companies to take on apprentices as part of a consortium. The scheme gave participating companies the ability to share apprentices with other members if the pace of work lessened, providing consistent training and work experience for the apprentices involved. 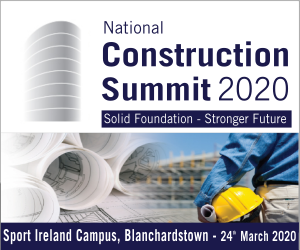 Conor O’Connell, Regional Director, Southern Region, CIF added that despite activity in the construction sector increasing, the industry is continuing to struggle with regard to apprentice sign ups figures. “Construction activity continues to increase in the region with many major projects commencing or due to commence shortly. The output of the sector will increase substantially in 2019 and we need more people to consider a career in construction. However, despite the upturn in construction there are not enough young people considering a trade,” Conor O’Connell said. Following on from the 2015 / 2016 pilot scheme where the South East Branch of CIF / and SOLAS collaborated to run a pilot of the ‘Apprenticeship Sharing Scheme’ it has been agreed to escalate the take up of this scheme nationally. CIF undertook to seek to put together a number of consortia, based on the same criteria as the initial pilot, to seek to increase the numbers of registrations to the plastering, painting & decorating and bricklaying apprenticeships. The objective of the scheme is to develop a co-op, whereby, contractors can form a working group, by means of Memorandum of Understanding (MOU) – to register apprentices and work collaboratively to train these apprentices in the chosen trade, in accordance with the Rules of Apprenticeship. the direct employer and co-op members are not specialists in the appointed trade, but do employ skilled sub-contractors, who are specialists and who will provide the training required – under the guidance of the Co-Op. Provision of a broad range of experiences and certainty for apprentices – members of the co-op are established companies with strong project portfolios. A positive intervention by industry to promote upskilling and creating jobs and sustainable careers in the construction sector. The number of apprentices to be employed by each consortia will be agreed amongst the participating companies. Prior to Registration, the members of the co-op will provide SOLAS, the details and qualifications of the proposed Assessor Verifiers (either in house personnel or sub contractor personnel), that will be involved in the provision of on the job training, for approval. That the apprentice will receive the training required under the curriculum while working with them. They will comply with the SOLAS Code of Practice. That the Apprentice is adequately supervised and that the apprentice’s health and safety and welfare is managed by them while working on their sites. Their commitment to cooperate with the ETB Training Advisor. The Apprentice will remain on projects controlled by the members of the co-op or on which they are working. Close contact will be maintained between the participants and with the local ETB Authorised Officer. For more details on the Shared Apprenticeship Scheme please contact Director of Safety and Training, Dermot Carey on dcarey@cif.ie.